Mandarins. Yawn. I’m not at all interested in them. I don’t know why – they’ve never done anything to offend me; they’re terribly convenient and frequented my school lunch boxes and long car trips as a child. But I’d rather any other piece fruit. The only memory I have of really enjoying a mandarin – it was in the form of a cocktail. Mandarins are in season at the moment and I’m determined to make something tasty with them. I don’t want to turn them in to a sauce for my chicken or fish or stew them to top my pancakes or desserts. I don’t want to add them to my salads or stir fries – all of this the Aussie Mandarins website suggested – even putting them on top of my bruschetta… are you kidding? So I’m taking inspiration from one of my favourite never-fails, Yotam Ottolenghi, and making a Mandarin polenta cake for Mothers Day. I had to peel quite a few mandarins for this recipe and it just reminded me why I’m so disinterested in them, all that peeling, pipping and pithing – it’s just not worth it in the end. But this cake on the other hand, was so worth it! My goodness it was delicious. A lovely dense cake of polenta and almond meal, moist with fragrant orange blossom and bitter orange. The caramel mandarins on top were the star attraction and added a lovely juicy sweetness. Mandarins, I will now happily enjoy you in to a cocktail or a cake, but that’s it. 14 May	This entry was published on May 14, 2013 at 9:36 pm. 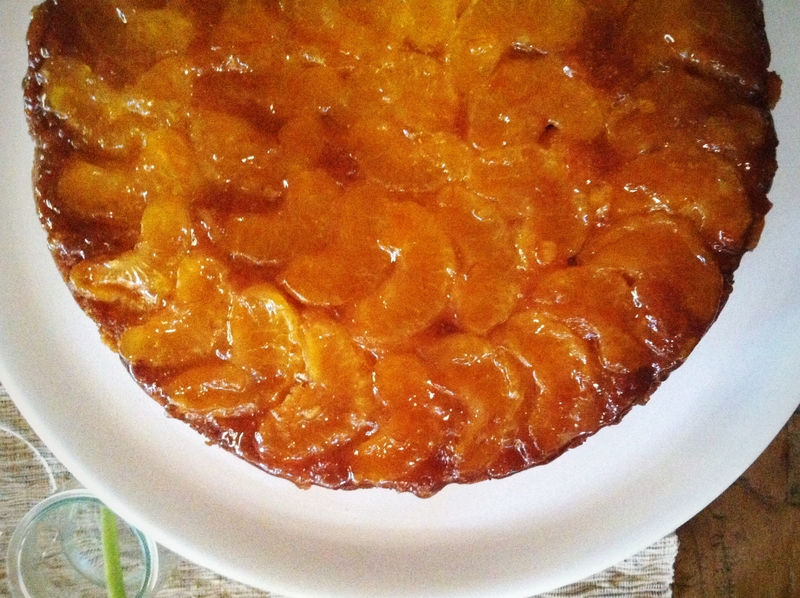 It’s filed under Lucy's plate, Recipes and tagged Cake, Mandarin, Polenta, Yotam Ottolenghi. Bookmark the permalink. Follow any comments here with the RSS feed for this post.